The Ranger RWS-1B bubble wheel balancer offers precision and accuracy when balancing automotive and light truck wheels, even on the go. The portable RWS-1B bubble wheel balancer offers uncompromising sturdiness and balancing accuracy for car and light truck wheels. Equipped with a self-levelling stand, the RWS-1B requires no extra levelling legs, so it's ready to go anytime, anywhere. The self-aligning, spring-loaded cone and plated steel guided rods make short work of any balancing task, while the hardened pivot pin and cast pivot seat provide unparalleled durability. 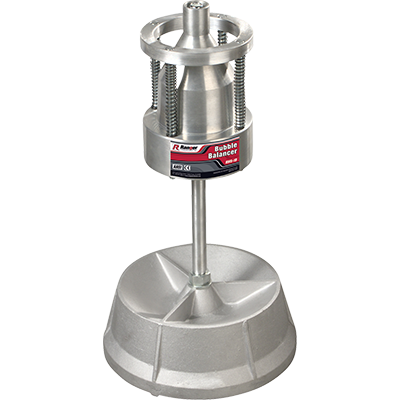 Throw in the fact that the head cone is made of die-cast aluminium, and you can rest assured that this portable wheel balancer is capable of handling more than its fair share of overtime, be it in the shop or out in the field.